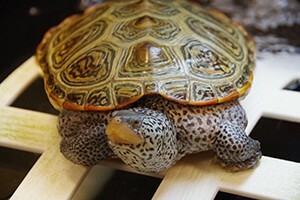 Whitney is the current President of the Wildlife Rehabilitators’ Association of Massachusetts(WRAM). She joined WRAM in 2002 and became the secretary of the organization in 2014, then the president in 2015. During the day, Whitney is the Wildlife Coordinator at the Tufts Wildlife Clinic in North Grafton, MA located at The Cummings School of Veterinary Medicine at Tufts University. She has worked in education and wildlife for the past 25 years. She has been a high school biology teacher, Wildlife Visitor Educator, Veterinary Assistant, and has taught Tufts Wildlife Clinic Outreach programs. She was also the Wildlife Supervisor at the Massachusetts Audubon Society. She has researched bison, wolves and grizzly bears in Yellowstone National Park, and prairie dog behavior in New Mexico. Additional research experiences include conservation projects about population dynamics in the Peruvian Amazon River Basin and traveling to South Africa to assist in the study of brown hyena behavior. Fun Fact: She has a soft spot for rodents, crows and vultures. In her off time, she enjoys photographing wildlife and traveling. Kathleen Bordewieck is the Vice President and member of WRAM for over a decade. 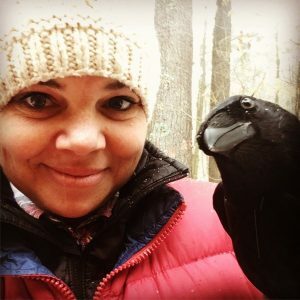 She is the co-founder of the nonprofit Dawndale Farm Wildlife Inc. in Bernardston MA that specializes in birds of prey, small mammals, songbirds, and waterfowl. Her passion lies in raptor rehabilitation and emergency care and rescue. 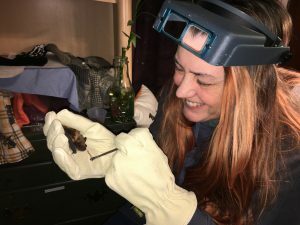 Together with Cummington Wildlife, she has developed and instructed the “Becoming a Wildlife Rehabliltator” seminar that has successfully assisted in creating many new rehabbers in the state. 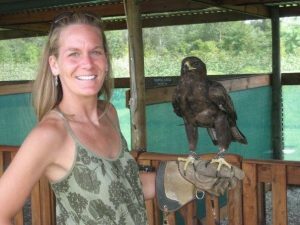 She has worked at an array of locations such as the Vermont Institute of Natural Sciences, Dean College, Massachusetts Audubon Society, Cornell Raptor Center, Zoo New England, and the University of Massachusetts Amherst. Currently Kathleen has a graduate assistantship at North Carolina State University working towards her masters in wildlife ecology and conservation. When she isn’t working in the rehabilitation community, she is teaching at NC State, giving lectures such as for the North Carolina Bat Annual Conference this past winter, and hiking with her partner Elliott. 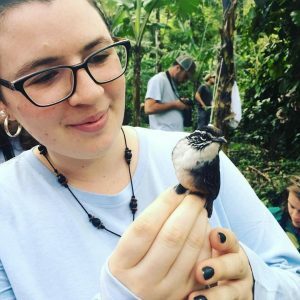 Kathleen loves travel and recently came back from a month long trip to Nicaragua studying Central American bats (and shade coffee dwelling songbirds as pictured). Colleen is the Supervisor of Wildlife Care at Mass Audubon’s Drumlin Farm. Her background includes an AS in Exotic animal training and management from Moorpark College in California, a BS in behavioral biology from Marietta College in Ohio, and a MS in Occupational Education from Fitchburg State in Massachusetts. These have all had a huge part in Colleen’s career journey as an animal trainer for movies, commercials and print work, a zookeeper (which activated her love for bats) an animal science teacher at an agricultural high school and a vet tech at a very busy practice. She has always had a job that deals with animal poop in some form! What she likes best about being a member of WRAM is that she gets to be a part of an organization that offers so many learning opportunities. Colleen feels that the members are all unique yet have the same connection of love and respect for the animals in their care. 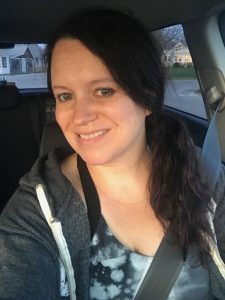 In her free time, other than taking care of her furred, feathered and scaled children, she enjoys quilting, knitting, reading, and visiting old cemeteries. They have the coolest headstones! 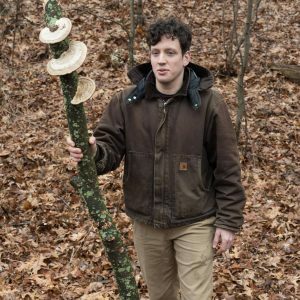 Mike Kanarek is an avid environmentalist who also spends time volunteering at Mass Audubon’s Drumlin Farm and MassEnergize. He is a member of the Northeast Organic Farming Association (NOFA) as well. Mike tries to seize every opportunity to put his business degree and consulting background to work for nonprofits, particularly those that protect wildlife and habitat. He joined the WRAM board because he wants to ensure that rehabbers in New England always have a stable community of peers to provide one another with support and share information that will help to protect wild animals. In what little free time he has, Mike tries to provide his flock of rescue parrots with a good home, and design and publish board games through his company, Aviary Games. Cortney is the Director of Education at Science from Scientists, a non-profit that hires real scientists to teach an array of science topics to 3rd-8th grade students. 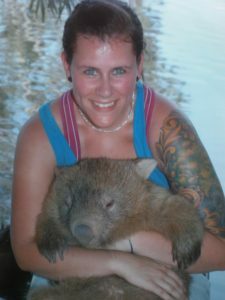 Her background is in conservation biology, having received her MS in Queensland Australia, studying flying foxes and their role as a vector species of zoonotic viruses. Cortney has a particular affinity for bats, though she is passionate about animals in general. She has traveled internationally to volunteer in wildlife sanctuaries, zoos, and other animal-centric organizations. She even rehabilitated a spectacled flying fox while she lived in Australia – an endangered species! 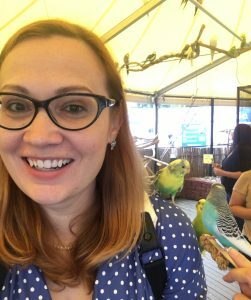 What she likes best about being a member of WRAM: The passion and dedication of the board – everyone cares deeply for wildlife and many spend all of their available time helping as many animals in need as possible. Everyone is hardworking and motivated. Fun Fact: When she is not working at SfS or WRAM, she spends her free time training for and participating in obstacle course races around the country. Brit has just recently joined WRAM this year after attaining her Mass state wildlife rehab permit. 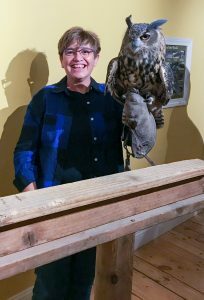 She had been familiar with WRAM through her employment at Mass Audubon, and knew it was an organization she wanted to help out with where she could. She is currently attending Lesley University. Brit has a background in zookeeping and ecology. She comes from a farming family in Maine and has been caring for animals her entire life. In her spare time, Brit likes to garden and sew costumes for theatrical events. Halloween is her favorite holiday as she makes a lot of costumes and helps run a haunted house. She likes to think if she grew up in another world she would be a Hobbit. Moira Ashleigh is a business owner of SolsticeSun Design, a company that creates web presences for the small business and non-profit sector, as well as a design and usability contractor for Database Designs, working on the Massachusetts Historical Commission websites. Moira is involved the local WordPress Community, and is on the volunteer organizing committee for WordCamp Boston. Moira is passionate about clean water and wildlife. She volunteers for the Mystic River Watershed Association and has won awards for her nature photography, which she uses to emotionally engage the public in the beauty and welfare of the natural world. 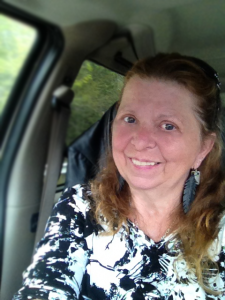 She is also on the board of the EarthSpirit Community. Moira joined WRAM 3 years ago, after taking a wildlife rehabilitation class at New England Wildlife Center. She volunteered for the WRAM board to support the work of wildlife rehabilitators in Massachusetts. Moira has a Masters degree in Theater and Dance from Emerson College. She is also a storyteller with her long-time partner Duncan Eagleson, and is the embodiment of the character RagRoot at the New York Faerie Festival. Anne became a licensed Wildlife Rehabilitator after completing wildlife training at New England Wildlife Center and volunteering at Tufts Wildlife Clinic. Her background is in nursing, business & education. After graduating from nursing school at Massachusetts General Hospital, she founded companies related to home nursing and in-home child care, including training components. More recently she has been a foster parent and a court appointed special advocate for children. Anne’s two passions are children & wildlife. She is currently working on developing educational resources for children that focus on the importance of a balanced ecosystem. The purpose is to explain the vital role each species plays and what can happen when one species disappears. As a member of WRAM and as a board member, Anne has the privilege of working with a great group of passionate, dedicated people. Along with the other directors of WRAM, she is committed to supporting our members by recognizing their contribution & the great work that they do, providing educational resources and being an advocate for them. Teresa wishes she had the space and land to be a rehabilitator but she simply does not. So, instead, she offers her talents where she can including providing WRAM with her skills in web development and marketing. Teresa’s love of animals dates back to her beloved “Fonton” a stuffed elephant she received from her uncle shortly after she was born. Fonton resides today on a shelf in Teresa’s office as a reminder that all animals, great and small, deserve to live. In the past few years, Teresa has become a docent at Southwick’s Zoo teaching conservation and preservation to guests. Any opportunity she gets to incorporate her love of the earth in what she does she jumps on. For the boring stuff, Teresa has been a full-time web developer for Tufts University since 2000 and moved to the Cummings School of Veterinary Medicine at Tufts in 2012. She has attended the Dawndale Farm Wildlife How to Become a Wildlife Rehabilitator program but has not been able to convince her husband to move to a place with land so she can become a wildlife rehabilitator. WRAM Advisor Robert Adamski holds a BS in biology from Delaware Valley College of Science & Agriculture, an AS in veterinary technology from Harcum College, as well as a BVMS from the University of Glasgow in Scotland. He provides medical services for both wildlife and exotic pets, including dental work, surgical procedures, husbandry advice as well as nutritional and behavioral guidance. 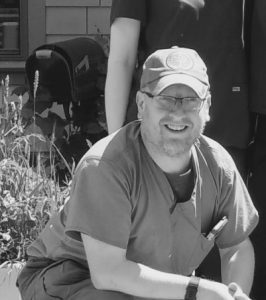 At New England Wildlife Center, Rob is the lead wildlife veterinarian for the Center and coordinates the care and release of hundreds of wild animals every year. 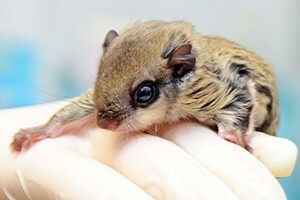 Dr. Adamski is involved with state-wide and regional efforts to assist and educate home-based wildlife rehabilitators. Off duty, Dr. Adamski engages valiantly in a battle of wills while attempting to pacify and herd his two rescued Canadian tortoiseshell cats. He enjoys hiking, volunteering with the American Red Cross and his local fire department and serves in the US Army Reserves Veterinary Corps. In his few spare moments, you can find him catching a movie at the local cinema and enjoying a bucket of popcorn large enough to double as a swimming pool. Stephanie is the Executive Director Wild Care, a wildlife rehabilitation hospital located in Eastham, as of March 2016. Her entire career has been dedicated to avian rehabilitation, wildlife conservation and nonprofit fundraising on both coasts. She holds a special affinity for birds (and mice!). Stephanie served as the Animal Care Coordinator of the Wildlife Center of Silicon Valley in San Jose, CA, and also Executive Director of the Santa Clara Valley Audubon Society in the bustling technology hub of Cupertino, CA. She was extremely fortunate to also spend 6 months as Interim Executive Director at the San Francisco Bay Bird Observatory. 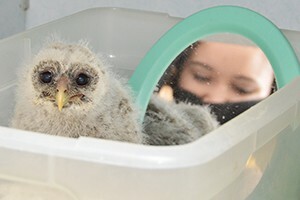 All of this experience has landed her exactly where she needs to be, at the helm of Wild Care, an amazing wildlife rehabilitation facility on Cape Cod that is making a difference for wildlife, one animal at a time. Fun Fact: In her spare time, Stephanie can be found dancing! She is training for a dance competition later this year. She also enjoys hiking, exploring the natural areas of Cape Cod, and catching a sunset whenever she can. Sarah attained a B.A. in Communications from the University of New Hampshire in 1998 and earned her M.Ed. in 2008. Sarah has over 20 years of education experience in both traditional and non traditional settings ranging from preschool to high school. In 2016, Sarah was thrilled to accept the Education and Outreach Coordinator position at the Center for Wildlife in Cape Neddick, Maine. The job combines both of her fields of study as well as her love of wildlife. Enrichment, through habitat as well as dietary and mental stimulus, is a highlight of her job that helps ensure happy and healthy lives for all of our ambassadors, as well as our staff! One of her favorite aspects of her job is the fact that she is continues to learn new facts daily from both the clinical staff, her animal ambassador friends, and members of her community. Sarah joined WRAM in 2018 and is very excited about being part of such an amazing organization and team.